JD Sports introduces another exclusive Air Max 95, this time working with a simple brave blue-based colorway. The new look by JD Sports takes on an Air Max 95 constructed of premium materials, working with a nubuck, suede and mesh upper. Brave blue dominates the look on this AM '95, while subtle hits of white take care of the tongue, eyelets, Swoosh logos and heel branding. 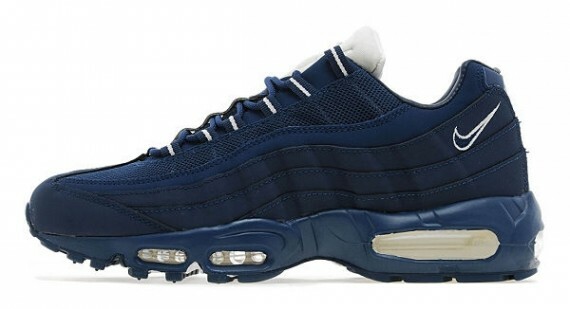 The 'Brave Blue' Nike Air Max 95 is now available online via JD Sports.